Marian Wachter will display several images in the Quartermaster Press 25 Retrospective Exhibition at Vashon Center for the Arts, April 6 - May 25, 2018. 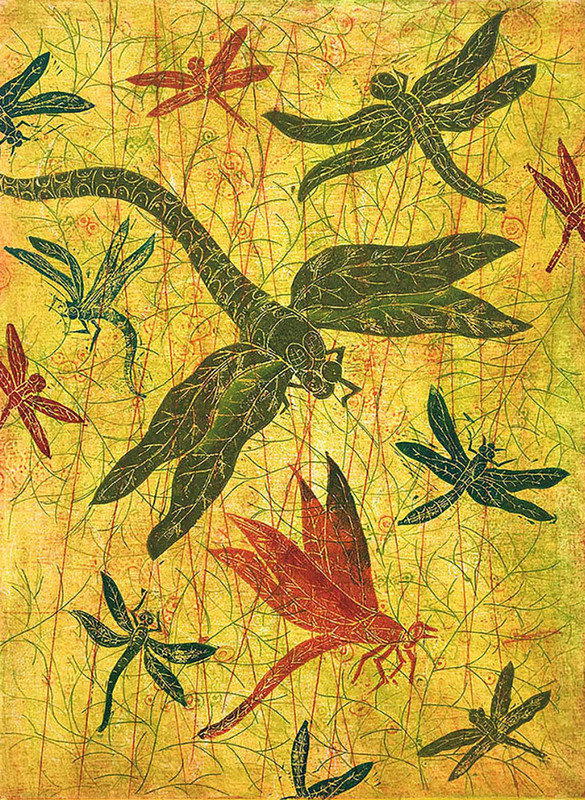 Featured here is “Garden Symphony” a mixed media relief and intaglio print. 17 3/4 x 23 1/2 in. Marian’s work is beautiful, graphic and innovative. If you are a print artist looking at her work you will constantly be asking “What the, How the” questions? Watching her hand print from carved leather-hard clay plates, for example, opened my eyes to yet another realm of printing possibilities. She experimented with collagraph, printed in relief and intaglio, relief printing using wood, linoleum and un-fired clay. All her prints were layered with these and other techniques and frequently finished with collaged elements, photo transfer or drawing/painting directly on the prints.